What is an International MBA? Since today’s business world is increasingly going global, more schools are creating International MBA programs to prepare more competitive graduates. An International MBA is a master’s degree program that studies key business principles that specifically pertain to the emerging global marketplace, according to Forbes. International MBA students take specialized courses to uncover how international issues and conflicts are impacting business development. 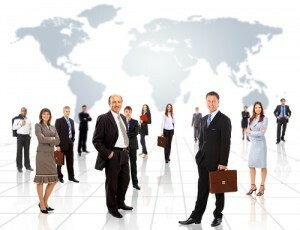 One of the biggest advantages to International MBA programs is their unmatched diversity. Students are able to interact with businesspeople from various ethnicities and develop better cultural awareness. If you’re looking to sharpen your global business competencies, the following is a brief overview of what to expect in an International MBA program. International MBA programs are offered to graduate students with a bachelor’s degree who seek to market themselves on an international stage. Most International MBAs will take one to two years of full-time advance studies. After building upon a broad-based business core, the rigorous curriculum will delve into topics like international trade, global finance, international strategic management, multinational marketing, emerging markets, international law, and global economics. For increased globalization, some programs may also require students to take foreign language courses in Spanish, German, Chinese, etc. Most accredited International MBA programs will include a study abroad trip to immerse students in another culture. Applied consulting projects are also common for MBA students to practice their skills on a global scale. Graduating with an International MBA will literally make the world your oyster. International MBA graduates can find numerous job opportunities specializing in the business dealings of companies operating overseas. In virtually any industry, you’ll have the know-how to work with international corporations around the world. You’ll unlock jobs like import agent, translator, foreign currency investment manager, foreign sales manager, international management consultant, customs manager, foreign policy advisor, business development director, global human resources manager, and more. Having international business knowledge will also be valuable in advancing towards senior-level positions, like Chief Executive Officer (CEO). Not only are these high-paying jobs, but they also offer the added perk of expense-paid travel. Due to the fact that International MBAs are now very popular, it can be difficult to determine which program is the best fit. Firstly, it’s essential that you narrow down to business schools that have been fully accredited for high-quality education. Accreditation from the Association to Advance Collegiate Schools of Business (AACSB) is supreme. Next, you should look over rankings for the best International MBA programs to understand which schools will add the highest level of prestige to your resume, according to US News and World Report. You’ll also have to choose where you want to study because International MBAs are offered in the United States and abroad, especially in Europe and Asia. Other important factors include tuition rate, faculty credentials, job placement, starting salary potential, study abroad opportunities, practical learning, and curriculum specializations. Overall, International MBAs are growing in popularity for equipping professionals with the latest knowledge and skills needed to succeed in our fast-paced, dynamic global business market. Whether delivered online or in a traditional campus format, an International MBA will build a solid educational foundation for lifting off into a career overseas. If you make the wise choice to earn an International MBA, you’ll have the valuable chance to gain insights into the climates of different global regions.